November 30, 2015 by Ecommerce News. About Mobile with tags Europe. 4085 views. Mcommerce is still rapidly growing. Consumers expect to buy online seamlessly while using their smartphone or tablet. But what can we expect in the near future and what challenges lie ahead for online retailers and brands? Worldwide Business Reach held a survey with senior retail, travel and retail banking executives from the top brands in Europe. Mcommerce is getting more and more important for brands. For more than half of respondents (53.6 percent) mcommerce ranks second in their top 5 priorities for the next two years. For one in four brands it’s even the top priority. This supports the suggestion mcommerce is becoming a really important part of conducting business online. 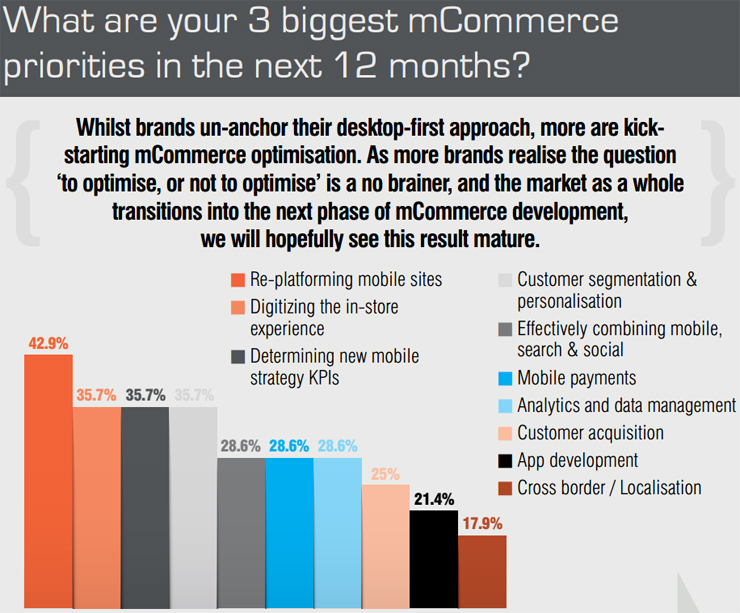 Worldwide Business Research also tried to find out what the biggest mcommerce priorities are in the next twelve months. Most brands will be focusing on re-platforming their mobile sites, while a lot will also digitize the in-store experience, determine new mobile strategy KPIs and focus on customer segmentation and personalization. In order to attract and keep customers, companies need to optimize and personalized the customer journey. That’s why they spend more and more of their digital budgets on mcommerce. According to a study from Retail Week, 40 percent of respondents spend more than half of their overall digital budget on mcommerce. The WBR study shows some different percentages, but like they say, spending behavior is dependent on the maturity of each brand’s mcommerce strategy. WBR also asked brands what makes an outstanding mobile webshop. Some of the given answers are “A personalized experience which is consistent with all other devices”, “clarity and the impression it’s been designed explicitly for mobile”, “great search”, “one that can deliver orders rather than just clicks” and “UX for intuitive and speedy conversion”. Brands desperately want to have more mobile transaction, but to achieve this they need to implement a seamless, secure and scalable mobile checkout. But currently there are so many options, retailers are waiting to see which mobile payment option claims market dominance. Most think it will take at least two years before the industry sees a mainstream uptake in mobile wallets. Individual branded apps on the other hand are expected to disappear in the next two to five years. Augmented reality and live chat are also among the irrelevant resources. Brands expects more from wearables, Apple Pay and other payment systems, responsive design and shopping by image recognition. 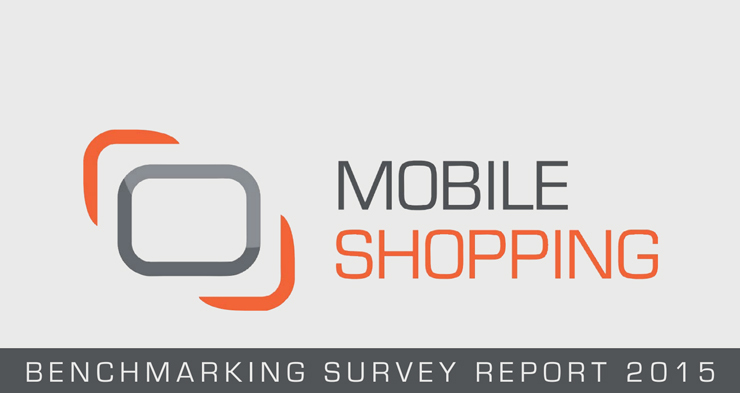 To see all the results from the study, you can download the Mobile Shopping Benchmarking Study from the website of Worldwide Business Research.